With summertime on its way, it’s a particularly good time to start looking around for great books we can have around for the kids while school’s out. 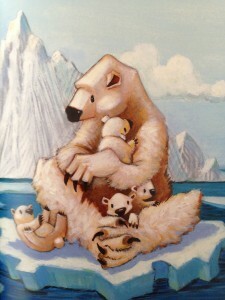 Just recently, I was delighted to discover the author-illustrator Ruby Roth and her two books for young children (I would recommend for ages 6-10). 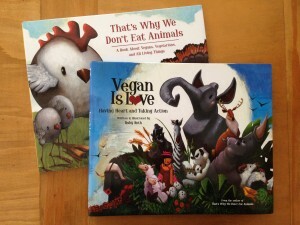 For adults looking to instill in their own children the values behind a vegan lifestyle, these books are a terrific launching pad for discussion; furthermore, they provide an opportunity for teaching children early on that every individual choice matters and that, even at a young age, a child has a voice of her own that she can lend to the animals. It’s a message of love and compassion and personal empowerment. 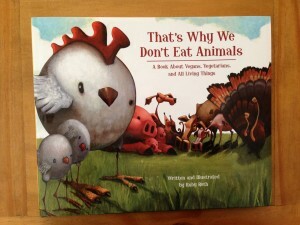 Like Vegan is Love, Roth’s first book That’s Why We Don’t Eat Animals features vivid illustrations that are bound to capture the imaginations of children as it encourages them to make connections between living animals who think and feel emotions (and pain) and food on the plate. 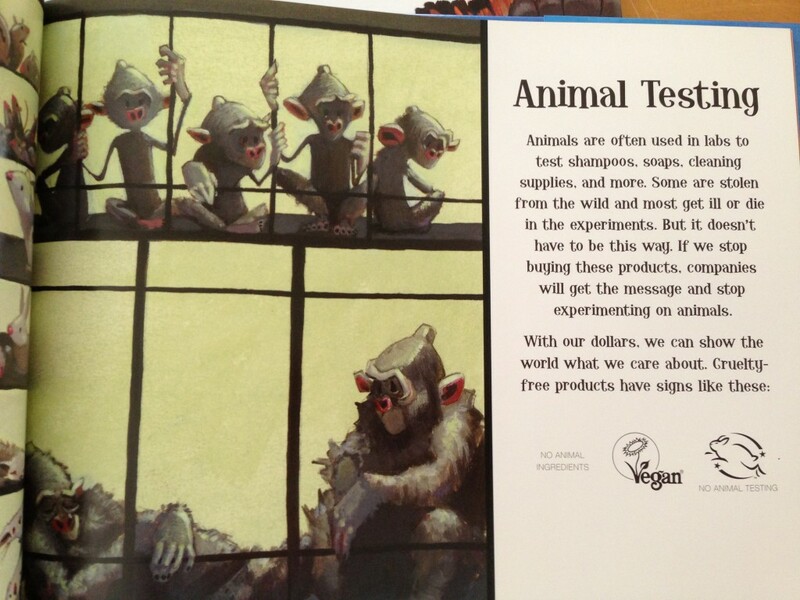 The focus of That’s Why is more specifically on factory farming and its consequences. In this book, Roth’s approach is to first illustrate the beautiful natural behaviors of animals such as pigs and ducks; second, she explains how factory farming makes those behaviors impossible and inflicts upon animals lives of suffering and isolation. I like that Roth respects her young readers enough to tell them the truth but does it in a way that is age appropriate, with language and images they will be able to understand. 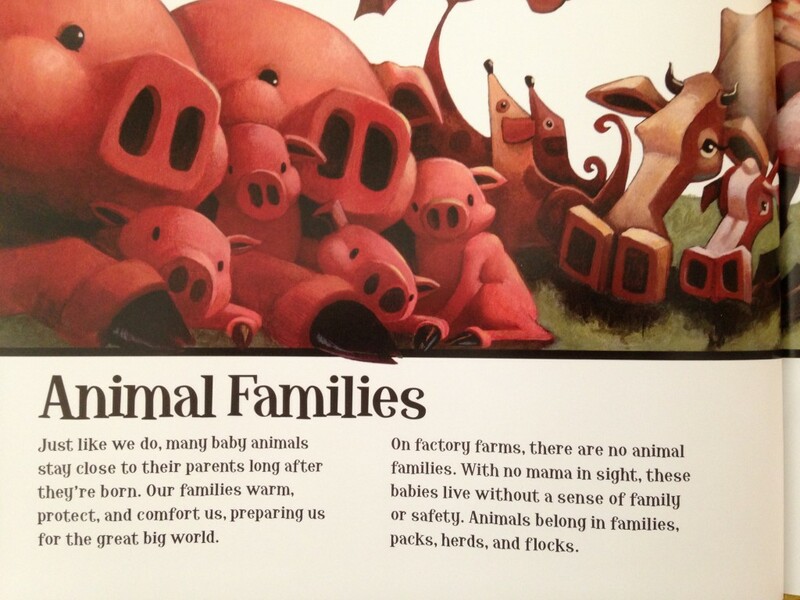 Any child can understand the concept of “family” and will have a reaction to the notion that animals have families, too. Connect with Animals: Never buy animals from pt stores or breeders. Rescue, visit a wildlife sanctuary, or volunteer at a local animal shelter instead. Home: Make your yard a sanctuary. Hang a birdfeeder or plant flowers for the bees. Environment: To protect animals and their habitats from pollution, replace plastic with cloth bags and glass containers. 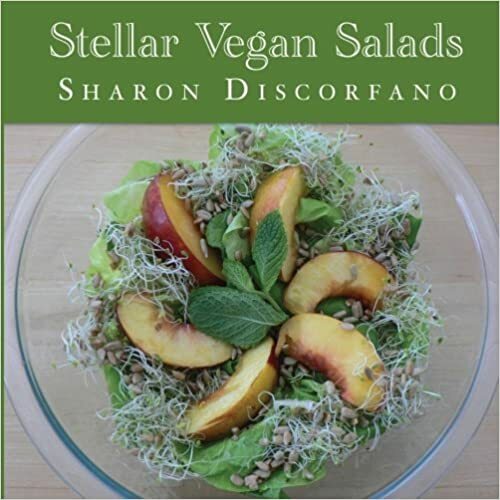 Shopping: Ask your favorite grocery and clothing stores to carry more vegan products. Fun: Enjoy art, music, and theater shows starring people, not animals. *Looking for more books (and movies) for kids as you get ready for summer vacation? 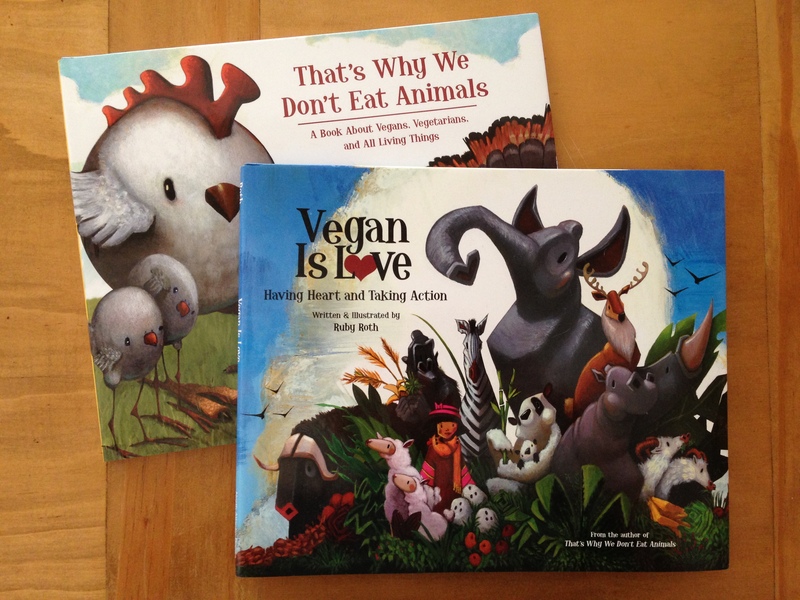 See my previous post on Vegbooks — a great online source.